The Reebok Yoga Set is excellent to improve your posture, tone muscles and burn calories. 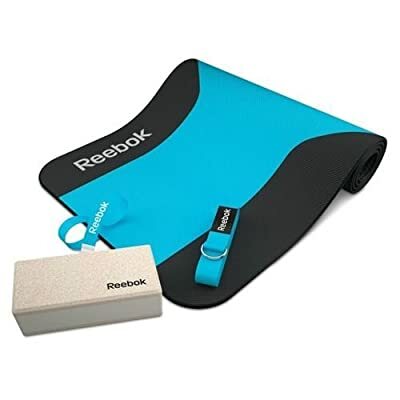 The set contains: yoga mat, block, strap and instructional Reebok yoga DVD. This set is a perfect gift for you or someone else looking to tone muscle, burn calories and improve posture. This take-anywhere, bundle-up, roll-out yoga set comprises an easy-clean mat, which is suitable for everyone from beginner to expert, a block - used for cushioning, supporting the head and for added lift and a strap to help you reach the parts that other yoga aids can't.